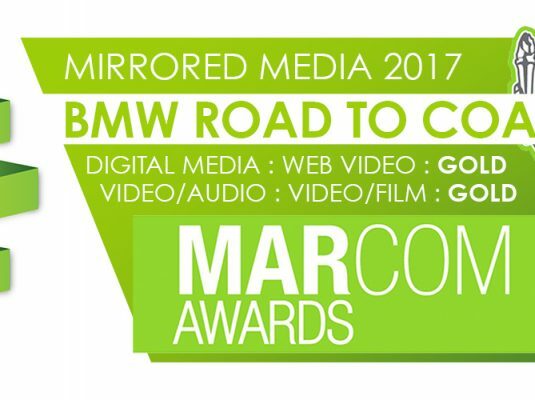 We are very proud to announce that Mirrored Media has been named a 2017 MarCom Award winner in two categories. MarCom Awards is an international creative competition that recognizes outstanding achievement by marketing and communication professionals. MarCom Awards is administered and judged by the Association of Marketing and Communication Professionals. The international organization consists of several thousand creative professionals. The Association oversees awards and recognition programs, provides judges and sets standards for excellence. Our influential BMW Road to Coachella campaign was awarded in both categories. MarCom Awards recognizes outstanding achievement by creative professionals involved in the concept, direction, design and production of marketing and communication materials and programs. Entries come from corporate marketing and communication departments, advertising agencies, PR Firms, design shops, production companies and freelancers. Judges are industry professionals who look for companies and individuals whose talent exceeds a high standard of excellence and whose work serves as a benchmark for the industry. There were about 6500 entries from throughout the United States, Canada and 17 other countries. Winners are selected from over 300 categories in Print, Web, Video and Strategic Communications. A list of Gold winners can be found on the MarCom Awards websites as www.marcomawards.com. MarCom is one of the oldest, largest and most respected creative competitions in the world. Winning a MarCom Award is highly sought after, peer recognition from the creative industry. MarCom winners range from huge international creative agencies and Fortune 500 companies to individual creative professionals. MarCom is sponsored and judged by the Association of Marketing and Communication Professionals (AMCP), a 23-year-old international organization consisting of creative professionals who contribute their unique talents to public service and community organizations. Over the past few years, AMCP has given over $250,000 in charitable contributions.